This one of the greatest photos and quotes that I have ever seen. It holds true in so many ways. Many people love all the wrong things in live. This stems from a desire and of love of power of their lives, and the world around them. While wanting to have power is a necessity in obtaining the basics of live to move up in the world, we often get too caught up in it. The very desire of power can be to too many people be considered as an addictive drug. It is this very desire of power that many, if not all, the wars that have been fought for throughout human history. Countries have been taken over to garner more power and control, and entire races of people have been subjected solely to obtain, and remain in authoritative rule and power. 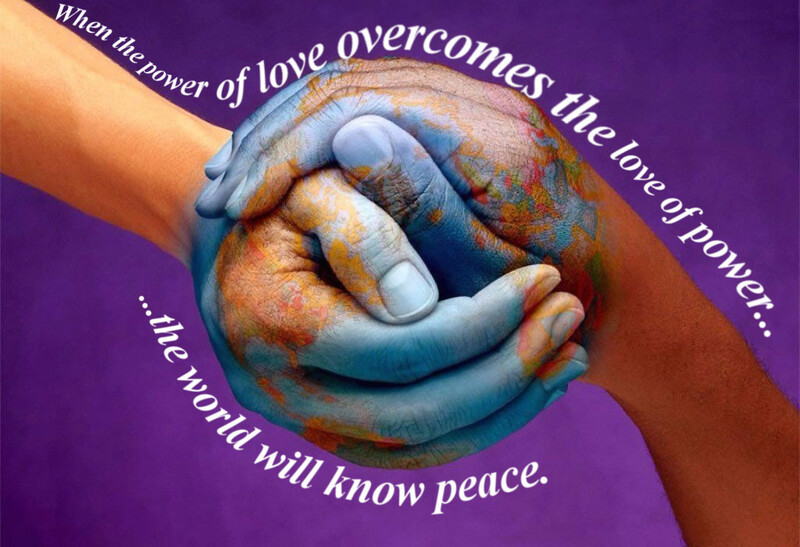 It is this very desire and love for power, which is a trait that is necessary to all humans, but can way too often be easily abused, which makes it the main obstacle to obtaining a better and more peaceful world. If the desire to have absolute and authoritative power were rather replaced with a love of all people, and the environment that we live in, world peace would be no doubt the result. So always remember to ask yourself if your desire for power, whatever type it may be, and the quest for power by countries, companies, and politicians, is a healthy desire that has the benefit of the world at center-view; as opposed to be a purely selfish desire.